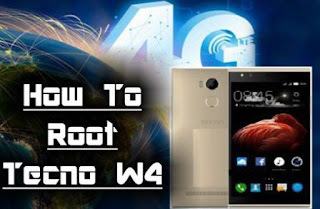 Rooting the new Tecno W4 is the new challenge especially for those that have recently adquired this awesome and affordable Tecno first Smartphone to run on Android 6.0 Marshmallow. Tecno W4 Dual SIM smartphone is 4G network device with a 1.3GHz Quad core processor with a very stylish design and a smooth user friendly interface. Click here for the full spec as well as the comparative review with Tecno J8 Boom. The Tecno W4 has repeatedly proven “unrootable” with most of the one-click apps like as Vroot, Kingroot, Framaroot, Rootgenius, Tecnoroot etc. Therefore the best available method to root Tecno W4 is to flash it with the SP Flash Tool. 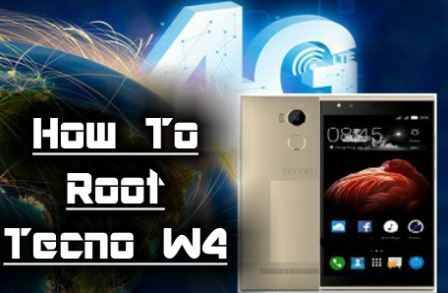 This article shows you how to Root Tecno W4 so that you can change the IMEI and other possibilities rooting provides. For full instructions on how to Flash Android device Using SP Flashtool, Click Here. - In TWRP Recovery, Choose install zip from SD card - to choose a zip from SD card use Vol up and down scroll up and down, then choose the Supersu.zip file from the root of your SD card. To confirm the successful rooting, download Root Checker direct apk or from Play Store to verify your root privileges. After downloading, simply Install Root Checker, run it and you should get a success message after then. I would never fully understand why people would want to risk bricking their phones because of rooting. Not interested Abegiii. The benefits are enormous o, for power users. For everyday use, you use to freeze apps and prevent them from running down your battery in the background and you can also prevent any app from connecting to Internet and conserve your data. Hmmmm. But Tecno w4 seems to be doing these. When I used the phone, I noticed it kept alerting me that so and so app wants to connect to internet, use my camera, read my contacts..etc. Me sha. I support rooting o, as long as it will not void my wrranty. I share your view too Kemi. What's the point of buying a phone and then rooting it thereby voiding tha warranty.